Product Design Lead @Accenture Digital Italy. I design digital products and services that people love to use. Curated by designer Tommaso Nervegna, Way Out is a journal of a digital escape from unconscious technology consumption. Is it possible to visit London in 48 Hours? But the true question you should ask yourself is: "Am I ready for it?" Visiting London can be an exhausting but rewarding experience if you, like me, are a weekender that wants to see and enjoy as much as possible in a small amount of time. To achieve the best experience during your stay, you need to plan every 30 minutes of the day. In this post, I'll try to give you the low-down on how to see all the major places and landmarks of interest of Western Europe's largest cosmopolitan city in only a weekend. It is possible to become familiar with the capital relatively quickly. Travel with an A-Z map book, or even better, download an App like Maps2Go and Tube Map, pack your Passport and a good pair of walking shoes and your set to discover the wonders of London. If you're visiting just for a weekend, try to get to London Friday evening (if you can) and leave Sunday in the late evening. Find a Hotel or an apartment somewhere central such as London Bridge. London is very pricy regarding hotels but you can find wonderful cheap and well-located apartments with AirBnB. Once left your room or apartment, you can do as I did. Start your visit with what is usually the final act of a vacation: shopping. Spend a few hours wandering around, Piccadilly Circus and Soho and you will get a real sense of the colorful life in the city centre, especially in the evening. 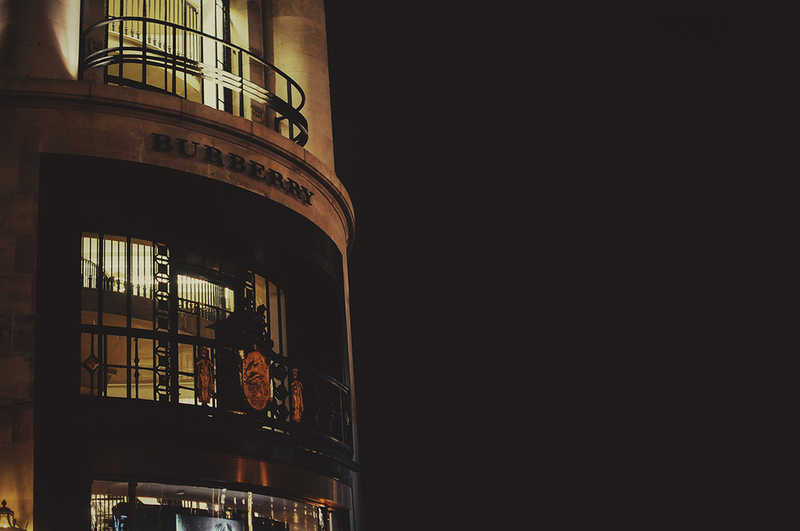 I suggest you to visit the Burberry Flasgship store in Regents Street. Taking over two years to complete, the colossal 44,000 sq ft space is an enveloping experience that blurs the line between the physical and digital, effectively creating an virtually-enhanced experience in store. Don't forget to walk down New Bond Street too! After a good breakfast, roughly at 10.30 am, start central: St James's Park station or Victoria Station for example and you can get around some of the major city sights as they are within easy walking distance of each other. Arriving to St. James Park you'll be already in the heart of Westminster. 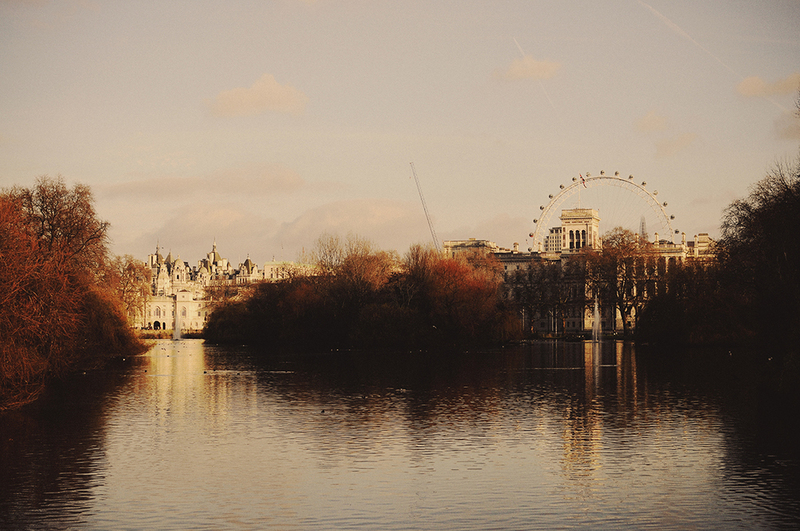 The lake in the centre casts a viewpoint left up towards Buckingham Palace and right towards Whitehall. 11:00 - Every odd day, at 11am the Queen's regiments perform the Changing of the Guard ceremony at the Wellington Barracks. After warming up the troops and the band march around the parade ground before heading over to Buckingham Palace. Toward the end they're joined by the Horse Guard arriving from the Mall from St James's Palace. To the right of the Palace you'll see Green Park, so named as the legend tells that Charles I's wife, after seeing her husband picking flowers for his mistress, stage actress Nell Gwyn, she ordered all the flowers beds to be removed from the Park. Walk down towards the gates of St James's Palace, near the Clarence House. Prince Charles, when in London, resides in the Palace, while the Queen mother resides in the Clarence House. 12:00 - Now walk towards Westminster Abbey. It was begun by Edward the Confessor in 1055 AD. Edward, obviously having something to confess, began constructing the Abbey but died before its completion. William the Conqueror continued the project in 1066 and had himself crowned inside. Every monarch has since been crowned in the Abbey. 12:30 - On the left side of Westminster Abbey lays The Houses of Parliament. 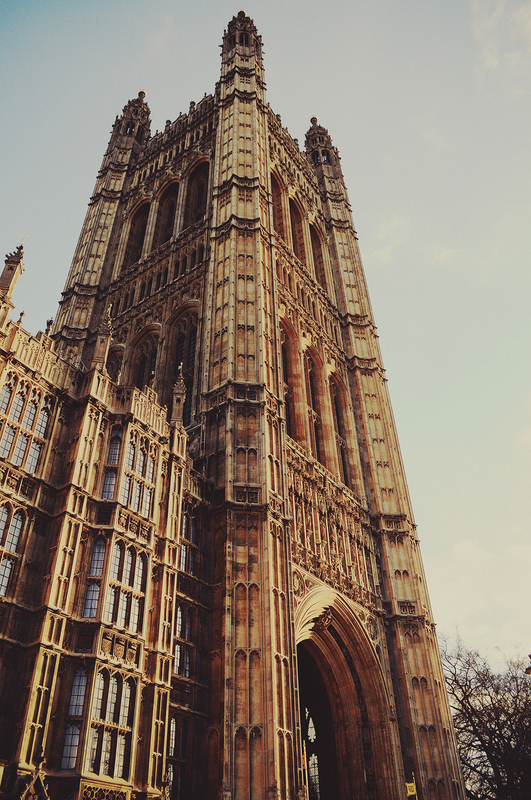 They were originally named Westminster Palace. On the extreme left you can recognize the obvious bell tower called St Stephens. 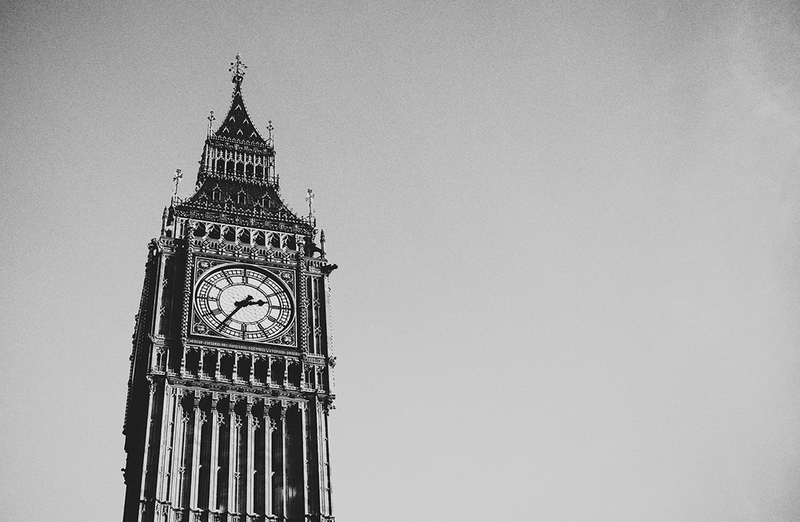 You probably better know this landmark as Big Ben, the name of the bell housed in the tower, named after Sir Benjamin Hall and is the one that sound the hours. Next to the tower is St Stephen's Hall, the House of Commons. The Great hall to front was built by William the Conqueror in 1087, the walls are distinctly less ornate than the rest of the Palace indicating its older age. Following on is the House of Lords, the seats held by nobles and members of the church. Finally stands the Victoria Tower, the House of Lords Record Office where all legislature is kept. 13:00 - Going ahead up Whitehall, you will reach one of the most known front doors in the UK. Number 10 Downing Street has been the official home of the Prime Minister since Robert Walpole in 1732. Once used to be open, the road was closed off for security reasons during the tenure of Margaret Thatcher. 13:30 - You'll probably be hungry by now. 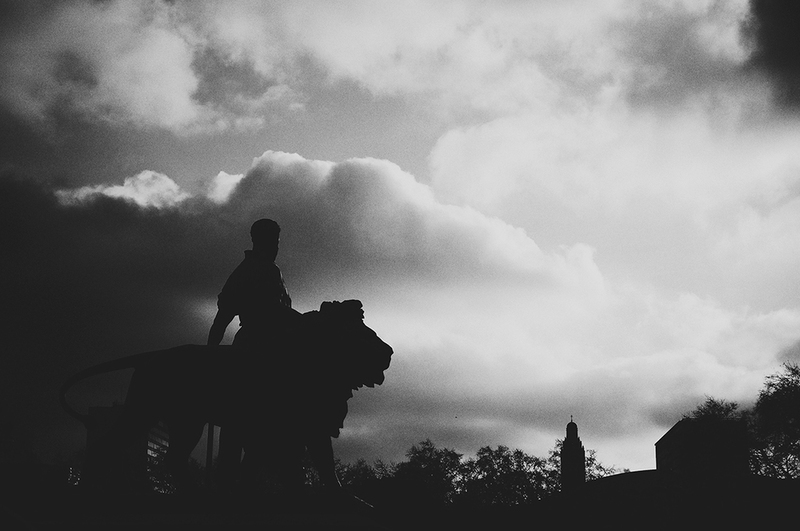 Move North towards Trafalgar Square. The focal point in the centre of the square is of course Nelson's Column. 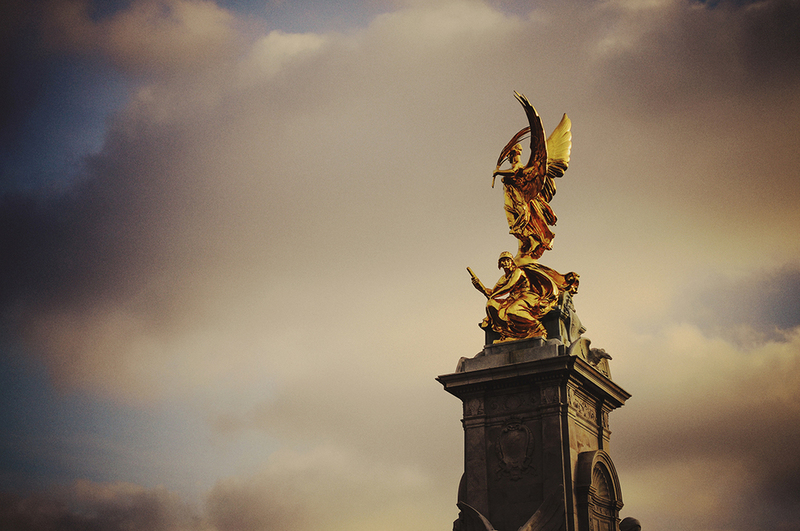 The statue on top of the plinth was erected in honour of Nelson's victory over Napoleon's fleet in the battle of Trafalgar, where the commander ultimately lost his life. Here you can look for restaurants or pubs in the nearby alleys and rest your probably sore and swollen feet. 14:30 - Keep going North. You'll reach Leicester Square. The playground for those living in the west. It had a seedier reputation in the 18th Century which has been replace over time as the place to go to and be entertained with stage shows, musicals, and relax. 15.30 - It's shopping time again, but this time, it will be a completly new shopping experience in a unique atmosphere. Take the Underground to Notting Hill Gate. It may be packed with tourists (like you), but Portobello Road Market is a London institution. It's crammed with antique dealers, vintage fashion stalls and retro memorabilia. My girlfriend went out of mind in a vintage fashion boutique where she was able to find Laboutain shoes for just 90 £. Spend some time wondering around Notting Hill and enjoy the architecture of the place. You'll feel as if you're in an other town. 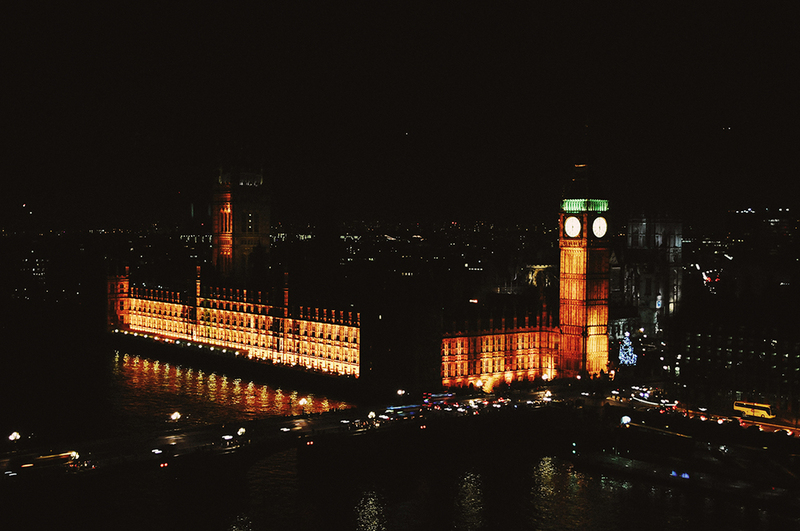 19:00 - From Notting Hill, take the underground to Waterloo station and walk towards the Thames. 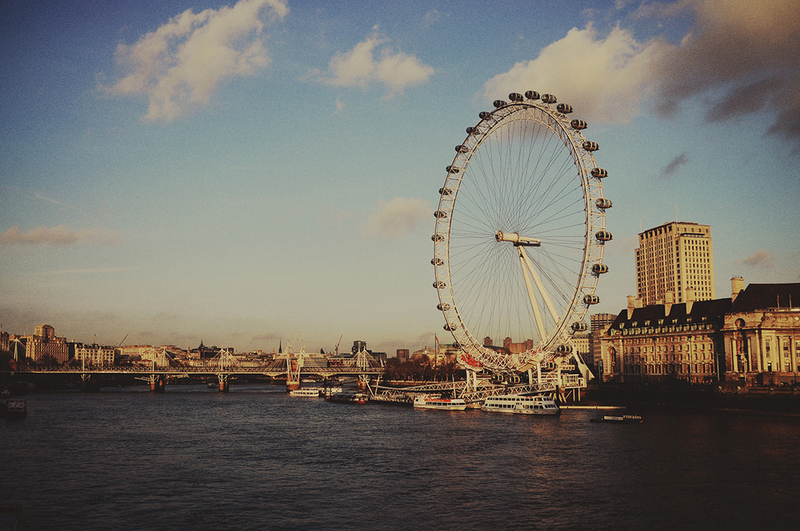 You'll encounter a huge modern and vastly discussed landmark: The London Eye. I suggest you do the ride that lasts roughly 30 minutes, relax and enjoy the view of London in all it's splendor. 19.30 - Every taste can be satisfied in London, there is literally a restaurant for every taste imaginable in every post code. The ethnic diversity in London is truly reflected in the food on offer. But I warmly suggest to visit a traditional English pub food. Borough and the area of London Bridge have lot to offer in terms of restaurants and pubs. In this way you'll be also able to digest your dinner by going down the Queen's Walk, starting from London Bridge and ending at Tower Bridge. A breathtaking view during nightime. 22.00 - I recomend to go to sleep early. But if you're in the mood to live the nightlife in London try exploring Covent Garden or visit a club like Cirqu do Soir or the China White in the Area of Oxford Street. You won't be disappointed. Morning - After a good breakfast you can choose wether to visit the South Bank Galleries that include the Saatchi Collection and the Dali Universe or visit is the Tate Modern Gallery. An other option is to visit They include the exceptional British Museum for artefacts from around the world. Another option is to visit one of the other famous museums in London such as like the Natural History Museum for nature buffs, or for more hands on and the chance to get back to being a kid again is the Science Museum. Afternoon - I decided to visit my grandmother and my Aunty in the countryside. But you can enjoy The Tower of London. It can be visited in a few hours, including viewing the Crown jewels and weaponry. The Tower has been a fortified palace, prison and now a museum. 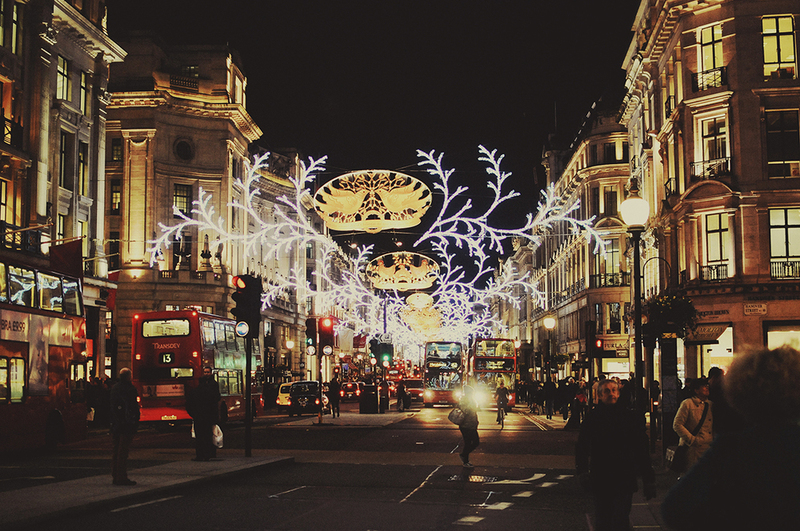 Once ended the tour you can head back to Oxford Street to browse a couple of more stores if you didn't have enought time the first day. As for the evening...well you do remember that you have a flight to catch right? You better start going! I'm Tommaso Nervegna, an Anglo-Italian Multidisciplinary Designer obsessed with productivity, travel & cool gadgets. EXPLORE new ways to be creative on a schedule. INSPIRE people by making worthwhile ideas happen. © 2008-2018 Tommaso Nervegna. ALl rights Reserved.